1978 specification guide sign shield. Manufactured between 2005 and 2010. 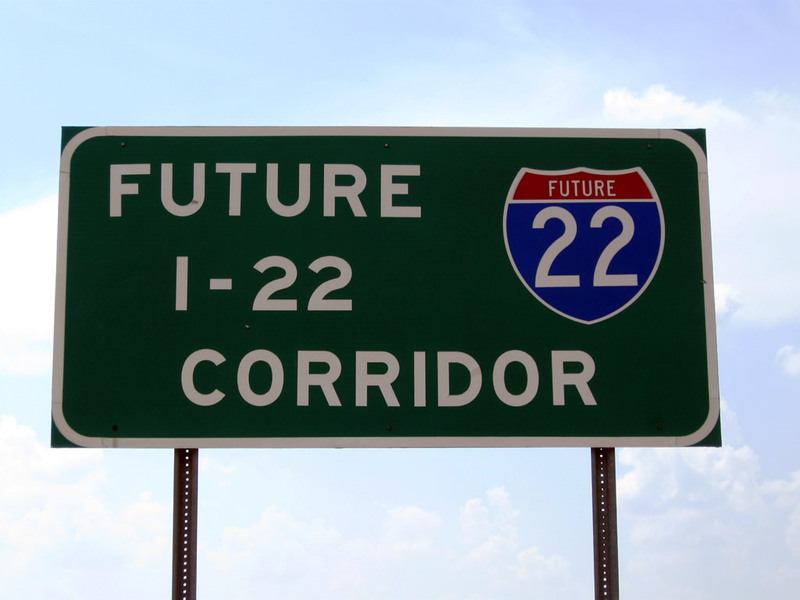 Westbound future I-22 corridor sign posted between Exits 48 and 41 on U.S. 78.